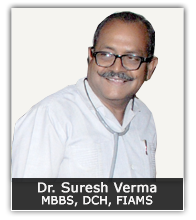 In the Verma Hospital Saving lives is core to our existence. We believe in making quality healthcare services accessible and equitable to all. Our commitment towards ethical practices and excellence in healthcare services has ensured that best care at an affordable price is provided to those who are in need. Our focus is on needs of real India. Copyright © 2012 Verma Hospital All rights reserved.